3D permanent makeup Boca Raton is a specialized form of cosmetic tattooing. In these procedures, high quality pigment is placed in the epidermis of your skin. These procedures are semi-permanent and do require maintenance every several months/years, depending on the service. We aim to use these techniques in a highly artistic fashion, in order to naturally enhance your beautiful features. After the procedure, most clients receive the compliment “I don’t know what it is, but you look really good!” We do not want it to be obvious that you had a procedure done, we just want you to look great! Overtime, if the service is not maintained it will simply lighten until it completely disappears. No weird color-changes, no scars, and no fear! Wake up with makeup! 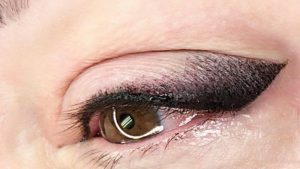 Permanent makeup is used for a variety of cosmetic enhancements such as eyebrows, Permanent eyeliner, and 3D Lip Permanent Makeup. Other permanent makeup procedures include scar camouflage, areola repigmentation and reconstruction, cleft lip correction, and scalp micropigmentation. Enhance your eyebrows with our specialty service Micro Blading! 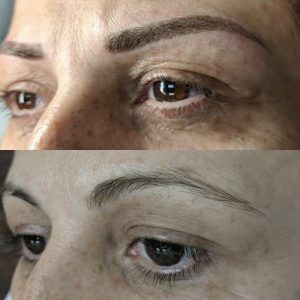 Micro Blading is a form of semi-permanent tattooing in which we draw natural looking hair-strokes to mimic a perfect set of eyebrows. 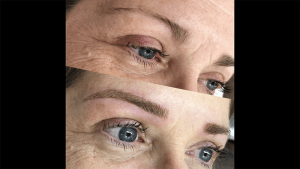 Boca Raton Micro Blading 3D Eyebrows procedure can benefit any and everybody. Check out our gallery to see how this can enhance your look! 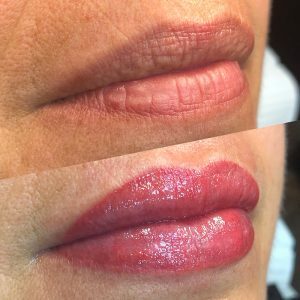 The latest, most revolutionized method of lip tattooing Boca Raton. 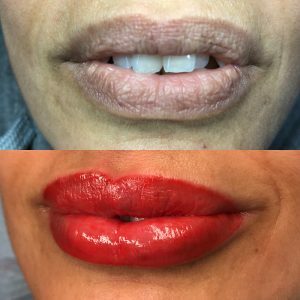 This procedure is used to achieve line definition, prettier pigment, shape, and fullness in the lips. 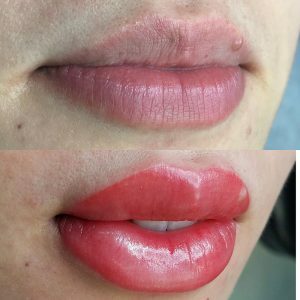 Stardust Lips Tattooing procedure looks very natural. Results can vary from person to person depending on what the client desires. Some people prefer a natural, soft look, while others desire a more saturated, lipstick look. Medical tattooing can be used to reconstruct, balance the shape, or give a fuller and more defined appearance. 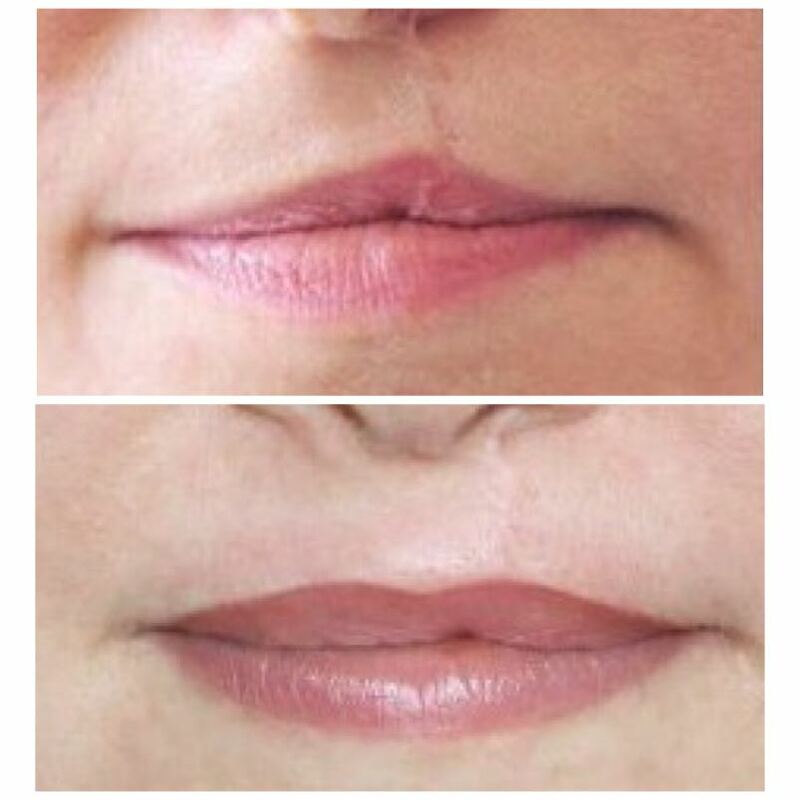 We use cleft lip permanent makeup method to correct the lips of those who have cleft lip. Scar-camouflage is a form a paramedical tattooing in which we tattoo with flesh-toned pigments in order to disguise a skin area that is missing pigment. Scar Camouflage procedure benefits people with scars, loss of pigment, vitiligo, and/or post-surgery scars. Boca Raton Areola Repigmentation and Reconstruction procedure restores the areola for those who have undergone breast cancer. Doctors remove the breast cancer areola tattooing when performing surgery to remove the cancer. We love this procedure because it is the final stretch of a very tough battle. 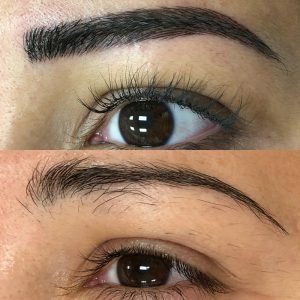 Does permanent makeup or Micro Blading hurt? Pain threshold varies from person to person. Most commonly people say that it is not painful, but there is slight discomfort. Some say it is not painful at all and voluntarily complete the procedure without any numbing cream. We’ve encountered about 5 people in our career who really thought it was painful, but never too painful to complete the procedure or come back for future touch ups! The “discomfort” is a very small price to pay for the benefit of amazing eyebrows or permanent makeup! Most people will heal within 7-10 days. During the first few days, swelling and tenderness is normal. Some people will scab during the healing process, this is normal. It is important not to pick at the scab, and let it fall naturally. When you initially leave from your appointment, take note that your permanent make up will appear darker and thicker, until it heals. Fading is normal in the healing process, the amount of fading differs by the person. When you come in for your follow up appointment in 4-6 weeks, we read how your skin reacts to the pigment, and we set up the final adjustments in order for you to have your desired results! 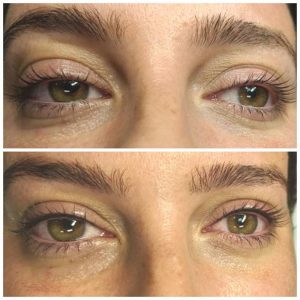 Permanent makeup is semi-permanent and how long it lasts depends on the procedure desired, client’s skin type, lifestyle, and several other factors. On average, microblading will need a touch up every 6 months. All of our clients are locked-in for 1 year with their touch up price of $250. Some clients choose to wait closer to the year, while others are more picky and desire to get them touched up more often. If never touched up, they will slowly lighten and fade until they completely disappear. No residue, no scars, no color change, no fear! Stardust lips will typically need a touch up in 1.5 to 2 years. If never touched up, the tattoo will completely disappear within 4 to 5 years. No residue, no scars, no color change, no fear! Eyeliners will need a touch up every 1 to 2 years. If never touched up, the tattoo will completely disappear within 5 to 10 years with no residue, no scars, no fear! 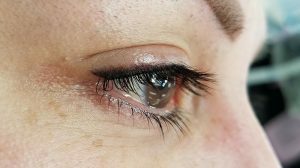 Do Permanent Cosmetics Look Natural? At Wafa Brows, we hold ourselves to the highest standards in making sure our clients receive high quality work. A high quality job in this industry will always look natural. Choosing the right technician is extremely important. We’ve had many many clients who have come to us for corrections after a job that did not exceed, or even meet their expectations. Make sure to view before and after’s of your technicians work, and see what others have had to say about them. 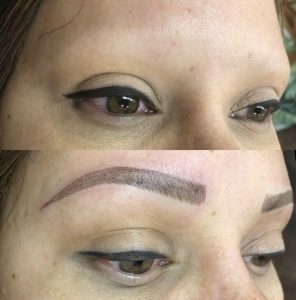 At Wafa Brows, we believe our work speaks for itself! Who is permanent makeup for? Permanent makeup can enhance any, and everybody’s look. We have helped cancer patients, people who have alopecia, men, women, people with sparse hair, people with thick hair.. you name it. We believe in using permanent makeup to bring out and enhance an individuals natural beauty. Here at Wafa Brows, we are not just technicians. We believe in art behind the science. Anybody can learn the science, but it takes a true artist to be able to enhance anybody’s look, and give them the best design to match their face. We take pride in giving the most beautiful eyebrow designs in the industry. We believe it is an art, and it is wrong to just follow any stencil or shape determined by measurements. The artist’s eye is extremely important. Eyebrows are the frame of the eyes, and the first thing other’s look at when they meet you. Eyebrows can make or break your look, and strongly impact the energy you carry when meeting others! We all have different facial features, eyebrows should be customized to make you the best you!